Brown traditional bag in nostalgic style. 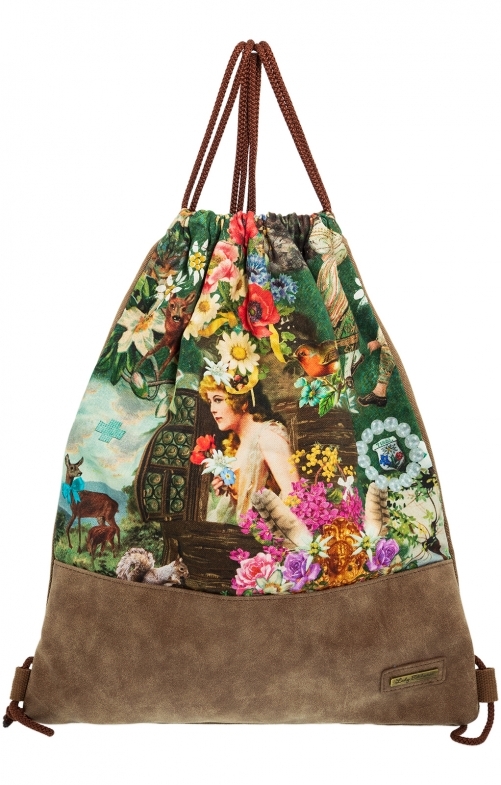 The Lady Edelweiss bag is an exceptionally beautiful model made of polyurethane and cotton. The lovingly designed motif makes the 36 by 43 by 4 inches large traditional bag a real eye-catcher. The pouch with drawstring automatically draws your attention to the colourful animal and flower pictures.